Toulouse's museums cover a broad range of topics. 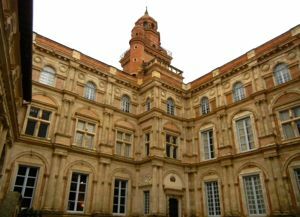 Toulouse is home to many museums, ranging from art to aerospace. Here are a few you might want to visit. The Saint-Raymond Museum is next to the Basilica of St-Sernin. Its exhibits include archaeology, funerary art and remains from the end of the Roman period and the Early Middle Ages. Les Abbatoirs, the old slaughterhouses, now are home to a museum of modern and contemporary art. The large Musée des Augustins is housed in the former Augustins Convent. Its collections include sculptures from Roman sculptures through the 19th century. Paintings range from primitive to the 20th century. The building itself is fascinating to visit and includes a 19th century wing built from plans by Viollet-Le-Duc, with a monumental stairway. The Museum of Vieux-Toulouse (old Toulouse) is in a small building from the 16th century, just off of the Rue Saint Rome shopping street. It provides information on the arts, architecture, politics, culture, and folk traditions. 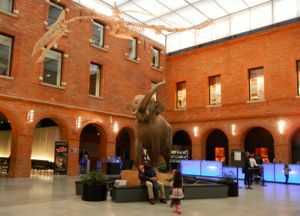 There's such a variety of museums in and around Toulouse, it seems there's something for everyone! Above, The beautiful Hôtel d'Assézat, home of the Fondation Bemberg art collection. Below, Entryway of the Natural History Museum, Toulouse.